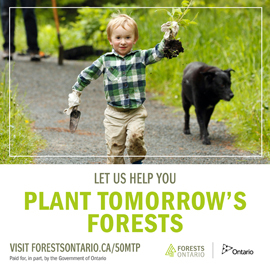 Visit one of Ontario Nature’s reserves this winter for free fun and fitness. 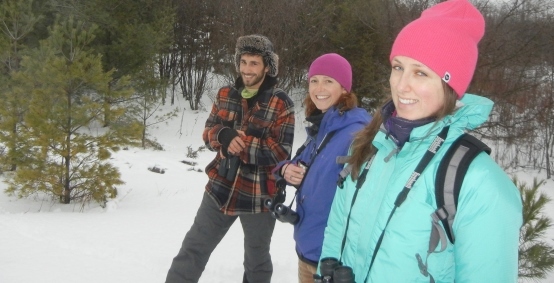 Snowshoeing, hiking, skiing, birding, geocaching and making snow angels – there is so much to do so don’t delay! Discover the best-kept secret in southwest Oxford this winter – Lawson Nature Reserve. Encompassing 15 hectares of provincially significant Carolinian woodland and wetland, this reserve becomes a winter wonderland when covered in a fresh blanket of snow. Grab a pair of snowshoes or cross-country skis and explore one of several trail loops. Challenge yourself to identify tree species by examining the size, shape, bark and bud scars of trees. If you get stumped, interpretive signs will help you out. After your workout, take a break while watching birds at the feeders – black-capped chickadees, mourning doves and blue jays are frequent winter visitors. And don’t forget to pack a thermos of hot chocolate to enjoy while warming up at the picnic area overlooking the sparkling frozen pond. 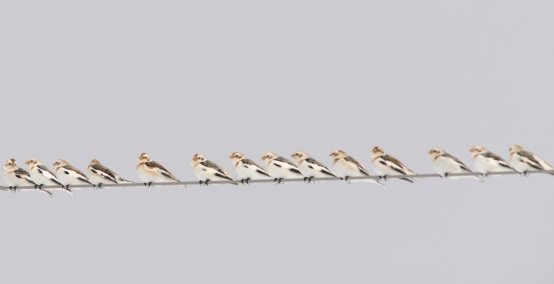 Birds (snow buntings) on a wire. Had your fill of holiday food? Burn-off some calories while hiking or snowshoeing at Kinghurst Forest Nature Reserve. This 281-hectare nature reserve in Grey County contains a mature maple-beech forest that is a rare example of pre-settlement woodlands in southern Ontario. Many of the trees are 250 to 300 years old and over 30 meters tall. With no leaves on the trees this time of year, it’s easy to spot the biggest, oldest trees hidden on the reserve. Snowfall on the reserve also sets the stage for a super-fun family activity: animal tracking. Grab a camera, field guide and your kids and play nature detective by identifying tracks in the snow. Look closely at the design and pattern of the tracks and then try to guess where the animal was going or what it was doing. How many different tracks can you spot? The reserve is home to deer, coyote, raccoon, squirrel, grouse and many more species. Cawthra Mulock in the winter. 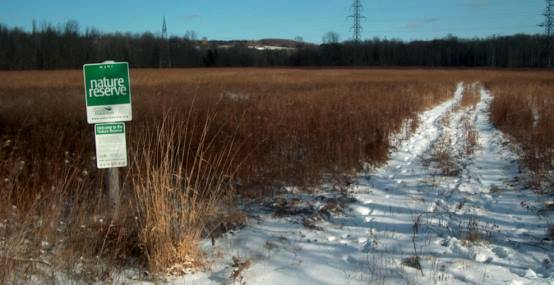 Fight the desire to hibernate this winter and visit Cawthra Mulock Nature Reserve instead! Only a five minute drive from Newmarket, this reserve offers a quick escape for GTA residents. The reserve’s trails, which traverse a diversity of forest and meadow habitats, are perfect for snowshoeing and skiing. Keep an eye out for birds that remain in Ontario year-round like cardinals, red-shouldered hawks and great-horned owls. Let the kids loose in the open fields to make snow angels and build snowmen. 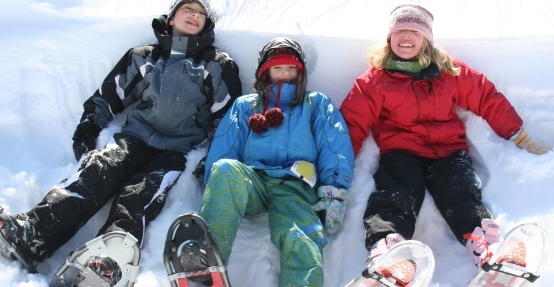 Kids take a break from snowshoeing. The fun doesn’t stop in cottage country when the snow falls – especially not at Altberg Wildlife Sanctuary Nature Reserve. Located in the heart of the Kawartha Lakes, this reserve is ideal for active outdoor pursuits such as skiing, hiking, snowshoeing and geocaching using GPS on a world-wide scavenger hunt. Winter is a great time of year to hike the Bruce Trail, especially the section that runs through our Malcolm Bluff Shores Nature Reserve. When the temperature drops, the crowds disappear and the reserve shows its true beauty. Located along the top of the Niagara Escarpment, this reserve offers stunning views of the cobalt-coloured, half frozen Georgian Bay. Bring a camera for the spectacular photo opportunities of beautiful ice formations in the caves and crevices on the side of the escarpment. And keep your ears open for the calls of peregrine falcons nesting on the escarpment. The falcon is a species at risk in Ontario. Good question. 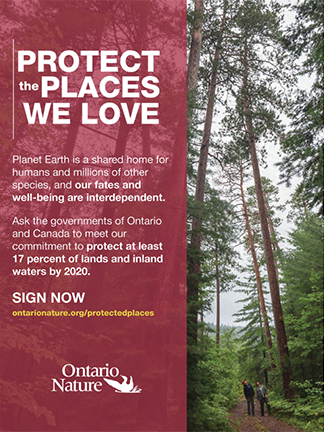 To learn more about these nature reserves, visit: http://www.ontarionature.org/protect/habitat/nature_reserves.php.